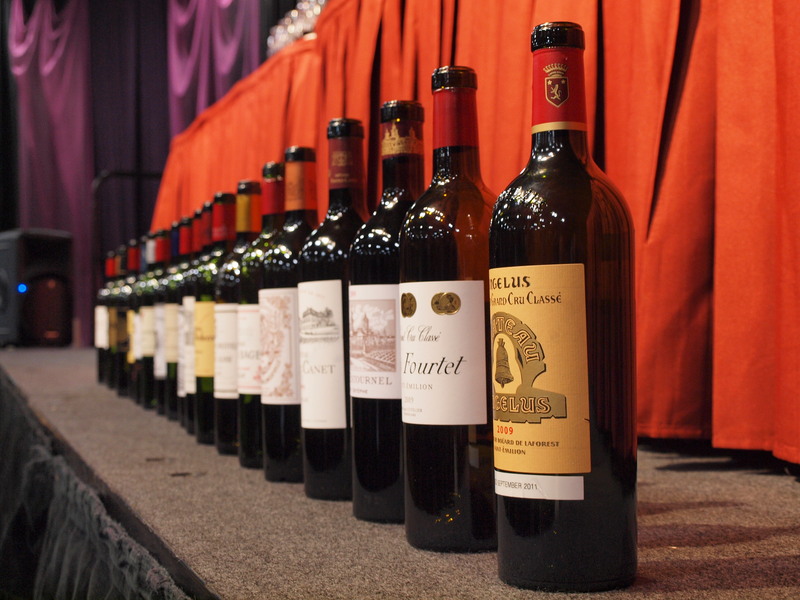 On a cooling yet rainy morning in Hong Kong, 20 thousand glasses were placed in a big banquet hall, with 14 hundred bottles of unreleased top-quality Bordeaux wines uncorked by 45 Hong Kong sommeliers. The banquet hall was fully packed by winery representatives from all over the world, wine critics, wine sellers, buyers, educators and media. And they awaited the arrival of a very experienced wine critic, if not, the most influential wine critic for red Bordeaux in the world, to lead a tasting session where the 2009 Bordeaux vintages were first unveiled to the public. I was lucky enough to be part of it as an amateur to wine, it was a great lecture that I had. Robert Parker "The Magical Twenty"
The crowd applauded before Mr. Robert Parker spoke. On this very day of November, Robert Parker chose and ‘brought’ 20 Bordeaux red from the 2009 vintage and named it “the Magical 20”. Before his Midas touch on 20 outstanding wines in the 2009 vintage, he started off by discussing the revolution of Bordeaux wines. Mr. Parker recalled his first taste of Bordeaux back then in 1978. Obviously, the 1970s were never an impressive vintages for red Bordeaux. But Mr. Parker started to witness the change in early 1980s. He explained that the revolution in Bordeaux started 20-25 years ago and it first started with the vineyards. He started to see vineyards being replanted, then emphasis on lower crop yields were promoted, vineyard started moving into organic farming principles. An impressive and critical change was the technique of reducing of crop size to enhance the concentration of grapes. It was first started by Petrus when local farmers at that time considered such method as an act against the god. What’s more is that, with the rise of second and third wines, it ensures that the top wines are produced with top-quality grapes. 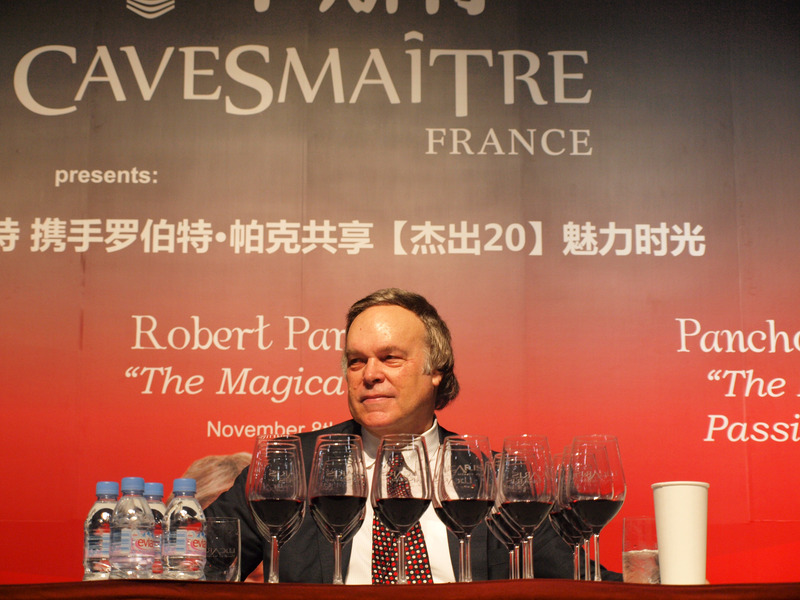 “I think it has been one of the greatest vintage in my life time,” Robert Parker says. In between the tasting, Mr. Parker also commented on the tannins in modern vintages. As much as I disliked tannic wines, I tried my best to understand what he is trying to convey. I personally think that tannins in the 2009 are in general gentler than the 2008 vintage, and surprisingly, I found a few Margaux that I actually liked in the selection which includes Chateau Rauzan-Segla. What constitute a great wine, Parker shares. 1. Wine has to satisfy your hedonistic and intellectual sense, i.e. sense of pleasure and senses of intellectual where wines are like an onion that you are peeling, where every time you go back to the glass, more things come out and unfolds, showing you more things that are positive. 2. All great wines has to offer a depth and intensity of aroma and flavor without heaviness. This entry was posted in Wine and tagged Angelus, Brane-Cantenac, Clos Fourtet, Cos D'Estournel, Haut Bailly, La Conseillante, La Fleur-Petrus, Le Gay, Leoville Las Cases, Leoville Poyferre, Lynch-Bages, Malescot St. Exupery, Palmer, Pape Clement, Pichon Baron, Pichon Lalande, Pontet Canet, Rauzan-Segla, Robert Parker, Smith Haut Lafitte, the Magical 20, Trotanoy, Wine Future 2011, wine tasting. Bookmark the permalink.